This badge was issued to IT Systems od on 27 Sep 2018. 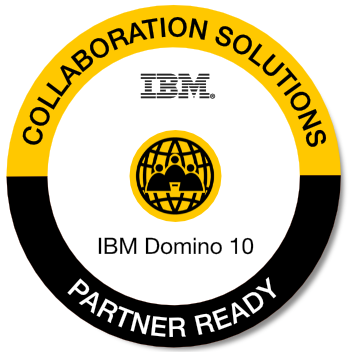 This credential recognizes the recipient organization's achievement and commitment of being IBM Domino 10 ready. This partner has shown a detailed understanding of IBM Domino 10 and the #domino2025 roadmap and has successfully demonstrated to customers how they can benefit from the advances in Domino 10. The organization has successfully met sales and pipeline criteria to generate business for themselves as an IBM Business Partner. Successful completion of prescribed IBM Domino 10 enablement materials. Contacted all previous and current IBM Domino customers and verified this with the local IBM Business Partner Representative. Recorded and qualified at least $250K of new opportunities in MySA / GPP, tagged with #domino2025, or recorded and signed at least $100K of new opportunities in MySA/ GPP, tagged with #domino2025.